Welcoming Ambassadors Sloane and Blake! 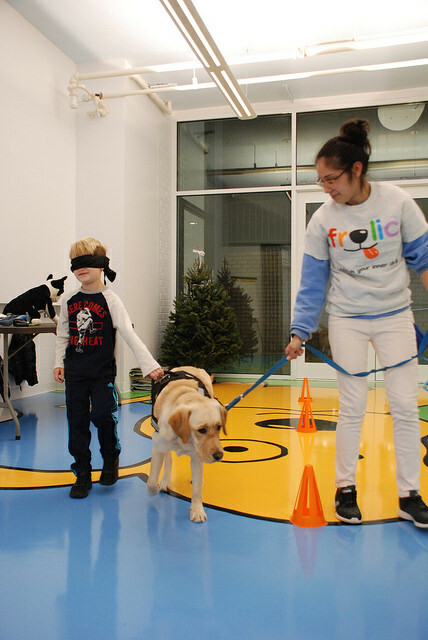 Early December, Frolic welcomed Sloane and Blake to take part in our Ambassadorship program. 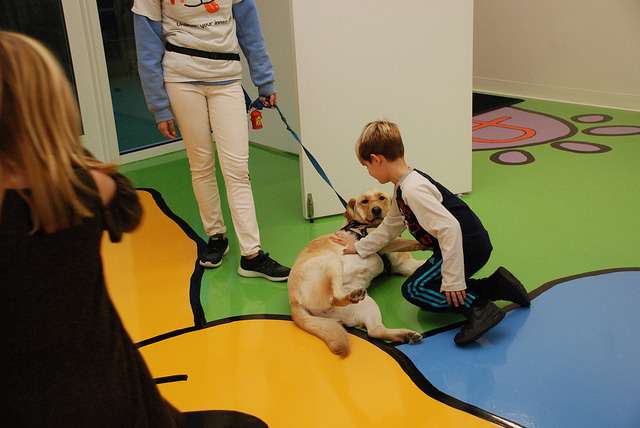 The Ambassadorship program is made for children who really love dogs, who want to learn more about dogs, and who hope to have a future working with dogs! There are varying levels within the program and once children complete all levels, they become certified Frolic ambassadors! Together, we went over dog nutrition and played ‘put the leash on the dog’ – Frolic’s version of hangman! The kids guessed one of the MOST poisonous foods to dogs – grapes. We learned how important it was to keep our dogs healthy and safe! 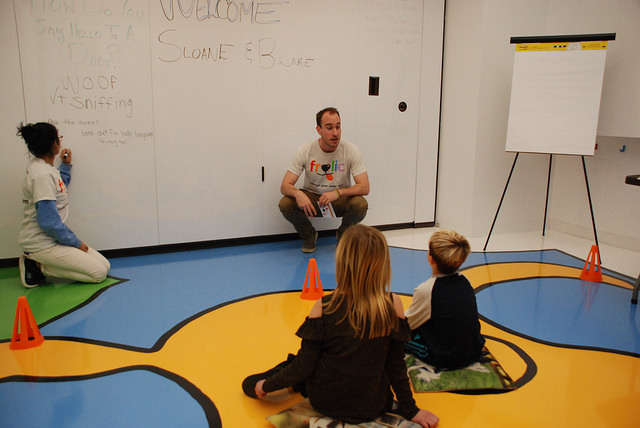 Check out this video of an exercise Sloane and Blake participated in! 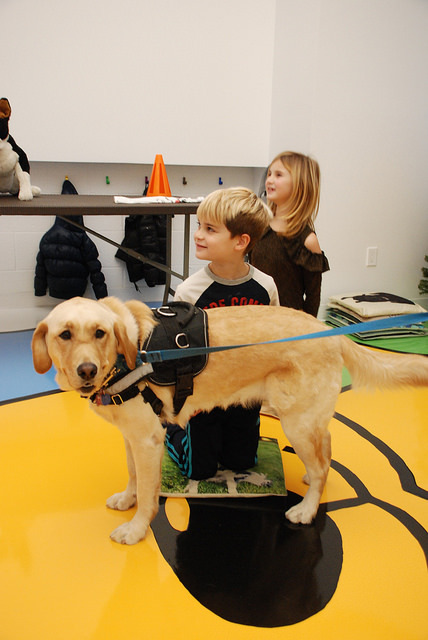 In this exercise, the children learned the ‘touch’ and ‘sit’ commands with our guide dog, Patience. These are the base commands for good behavior and something we re-visit every class. Lastly, we played around with scent detection in class 5 last week. We hid treats in the room and guide-dog Leo and the kids were able to hunt for them – check out this video! We then completed another activity where the kids learned how to use their own sense of smell to solve a puzzle. It’s been proven that children who have spent time around dogs will feel safe and be more empathetic, confident, and happy. Frolic is proud to be a source of learning for NYC children.